This goes a long way back to the time Linus was debating the so-hot-back-then microkernel design in operating systems extending to dummy machines on the network passing messages around like there is no tomorrow. The elderly will probably remember the epic flame war with Tanenbaum (professor specialising in operating systems and creator of the Minix operating system). To me that has always been the absolute representation of the clash of engineering and academia. Lately, I see the same pattern emerging in the new “linux” of the era: The blockchain. Only at a much amplified level. And if you don’t recognise it, allow me to point it out. I was introduced to bitcoin in 2011 when I dismissed it as something that doesn’t scale. Yes, I was much younger back then and really wanted amazing pure solutions to everything. Boy, I should have known better! I got back into studying cryptos and the technology in 2013 and since then I have been really excited about the possibilities. So now, in 2018, the whole world is into this. Everyday you see new projects trying to tackle every aspect of the problem. Latency, throughput, security, anonymity, etc. And again we got to the point where software projects started claiming their supremacy to the peer-reviewed academic process, while trying to belittle all other pragmatic issues. This is what Tanenbaum was summoning to support his arguments that Linux is not secure, not portable, and that doing a monolithic kernel in 1991 is like going back to the seventies. The peer-reviewed process of course is the tool that makes science science and got us here. I am not debating that. What I am really debating here is whether pretending with arrogance that being peer-reviewed always conveys true value or it is more of a marketing trick. Let me tell you this: most of published work today is useless to plain false and this claim was actually peer-reviewed! The actual usefulness and application of research is definitely not provided by the peer-review process. In our field of software engineering -and any other engineering field- good science is driven by engineers themselves. Science coming from engineers is always more pragmatic and useful, and I believe that this is the kind of science we need in the blockchain. Elon Musk seems to agree with me on this. Take for example Cardano and EOS. Cardano comes with all bells and whistles that this is the new thing. It’s not like the others, it’s peer-reviewed. Cardano uses a consensus algorithm called Ouroboros. Ouroboros, is a consensus algorithm based on the Delegated Proof of Stake algorithm (DPoS) invented by Dan Larimer (of EOS). You can clearly see that is carries enough extra baggage to serve publications and not the actual cause. Sadly, Ouroboros doesn’t even refer to Dan Larimer, probably because he is an engineer and not an academic. 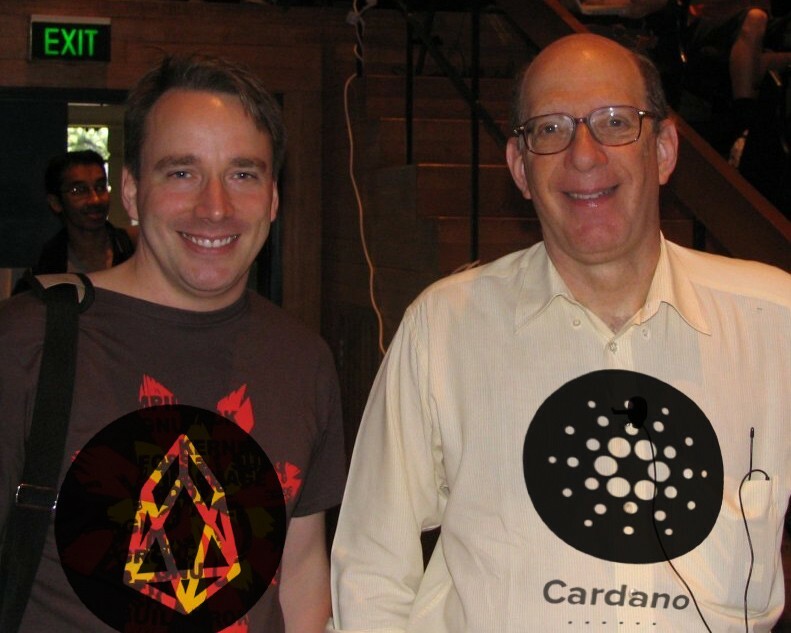 Like microkernels and distributed operating systems, Cardano, serves well the pure theoretical science part of the story, but they don’t get any work done. Who will debate that Linux is not portable and not secure today because it’s monolithic? Who will debate that DPoS which is for years securing billions of dollars in BitShares and Steemit is not secure enough because it is not formally peer reviewed. Trust me has been “peer-reviewed” by hackers 24/7 for years. Why should I accept bringing block time down to 20 seconds, on the theoretical -yet peer reviewed- promise of more security. When I have never seen it work in practice, and there are angles to it that probably make it even less secure. Take as another example Casper for Ethereum. I have been hearing about Casper being just around the corner for years now. Where is it? It seems they got stuck with the nothing at stake problem and they are not seeing real, pragmatic solutions to problems. If nothing is good enough for you, focus on the fact that nothing is good enough and solve that problem instead. Make it so you can have an adaptive system that can evolve, and don’t get stuck to the past until the perfect solution is found. Sometimes it feels that if Ethereum was designing a password file they would store passwords plain text because MD5 is not proven secure. How about using it but also making it easy to switch to bcrypt when MD5 gets cracked? That is what engineering does. The hype around the industry also attracted all sorts of “experts”. Personally when I see a project in the blockchain technology that provides nothing new in the cryptography area, advertising advisors with cryptography background, I smell scam. Those that fall for it are pure ignorants. I hate to break it to you but most of cryptography used in cryptos today is decades old. So as someone doing operating system implementations doesn’t necessarily require quantum physics advisors because of quantum tunnelling accruing at modern processors, building blockchains today doesn’t need cryptography researchers. Elliptic-curve cryptography and zero knowledge proofs are known since forever in computer science time scales. Unless you are implementing a new cryptography algorithm you don’t really need a crypto expert (It will work as marketing though). Not to mention that if you actually do implement new cryptography, allow me to stay away from it for a couple of years and then we talk. Something being peer-reviewed doesn’t mean anything on it’s own. In blockchain technology we need to be pragmatic and not fall into the pithole of pure academia for academia. Even worse lets not make it a marketing tool. It is not what we do, and it is actually causing damage to the field as a whole. The practicality of a solution is top priority in any software engineering endeavour. We shouldn’t claim to have designed the safest airplane in the world by making it only taxi around and never fly. Playing the peer-reviewed card is sometimes exactly like what all those tokens with no real value do to attract non tech savvy users to invest. It is just in a more elegant packaging that actually works for better educated investors. You might also want to look into the post-mortem of the game here in Ludum Dare. 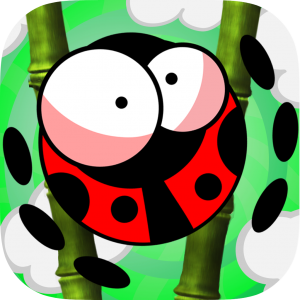 The game was a huge success on the BlackBerry platform, and it was always in my mind to someday bring the game to iOS and Android. Specially now that most BlackBerry users moved to iOS and Android, I was constantly being emailed about a potential release of the game on the new platforms. And let your friends know about it. It’s really appreciated! I know I have promised that a long time ago, but now it’s real. After some work on weekends and a lot of back and forth with Apple, I have the game ready to be released this Thursday March 30th. I would like to inform you that today is July 22, 2014. 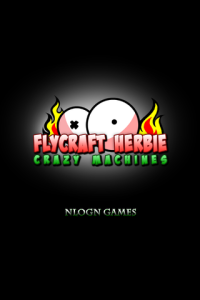 Yes, it’s finally Crazy Machines time! I know a lot of you were waiting eagerly for this moment. I know it from your personal e-mails, the twitter replies, the facebook comments and all the fuzz that you created. The excitement is the same for me too. 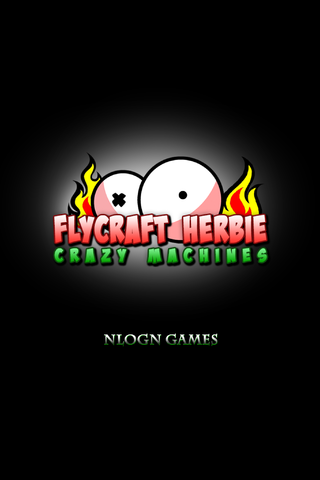 I really can’t wait to see your crazy flights (and crashes) on everyplay. To see how you will like the game, what scores you will achieve 30 minutes after release, etc. It is going to be awesome! So open the above link on your Android phone and you will be redirected directly to the Google Play download page, open it on your iPhone and AppStore will come up. Same for BlackBerry 10 devices. 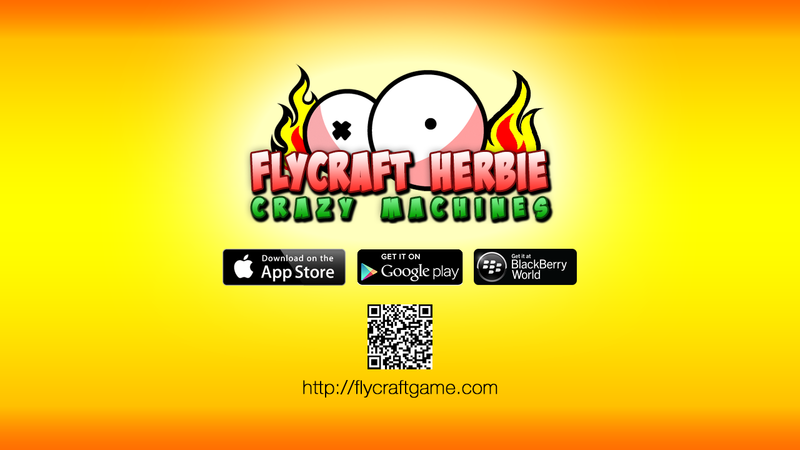 You can even open it on your desktop browser and it will show you a qr-code to scan. How is that for convenient? Still here? What are you waiting for? Well, since you are still here I would like to thank some people that helped in making this game a reality. James Richardson, Jen Allen, Matteo Vismara, all the people that supported the epocu campaign, and basically everybody over at BlackBerry that supported this game so much. After a redditor’s suggestion I found out about this new service called epocu.com, that helps with marketing your game through a new interesting idea. It is something like kickstarter but swapout money with social reach. So what you basically do is create a project page and then set a goal number of supporters and a target date. A supporter is someone that will agree to have a post made (that he sets) on his social network on the target date. However that is only going to happen if the project achieves the goal number of supporters, otherwise nothing happens. This way you can have a boost in your social reach on the day you release your game. I find it a very smart idea. Bellow you can find my project page on epocu.com and a post I did on Reddit. If you like be a supporter! This was one crazy week for me. After so much hard work on the game, and finally submitting to three app stores on June 28, Apple managed to delay the release by almost one month. The game got rejected by Apple a few times, due to IAPs not working (as they said). As you understand a big race started to figure out what was the real problem as IAPs in my games work since 2011. It’s the same code. But anyway, I don’t want to bug you with details you don’t care about. The real news are that I now have approval for release on iOS, Android and BlackBerry. The game will be released the coming Tuesday, July 22. 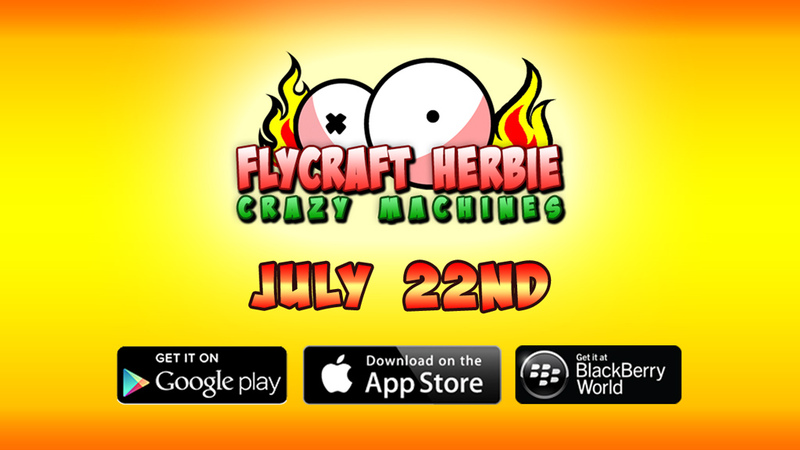 So mark the date and have your App Store, Google Play or BlackBerry World ready for download. It is going to be crowded! Those of you following around my BlackBerry apps will probably know of my Smart App Shopper app. It was launched about a year ago, in the hope to provide a price watching service similar to those available for iOS. Unfortunately, can’t say that the project was a success. With only 30,000 users and 1,000 active users per day, it is not much. It is probably the fact that BlackBerry doesn’t really allow you to change your price to free and back to paid again. I guess that is the main driving force of these kinds of apps. But anyway, I was keeping it running for those that were still using it. However, after the saddening news of the Amazon Store integration in BB10 and the diminish of the actual BlackBerry World, I realized there is no real reason behind attending the web service and keeping the thing rolling. It’s a dead end. So please take notice that Smart App Shopper will be pulled from BlackBerry World on July 17. After that you will not be able to download it, and those that have it installed will not be able to use it. Thank you all for the support all this time! Flappy Bird did it. The most simple game ever build at the top of every AppStore. How frustrating can that be to big game development companies that put hundreds of thousands of dollars into developing and marketing their games? It is so funny to follow this industry. You can never predict the future. I was feeling so psyched about it! I needed to mock it, understand it, troll it, test it, everything at the same time. So my creative juices started boiling again, and I decided that I had to make a game that will express all that. Everything in it should be trolling some part of the situation. The game itself, the gamers, the appstores, the clone haters. So starting from the game name you can begin to understand what is going on. 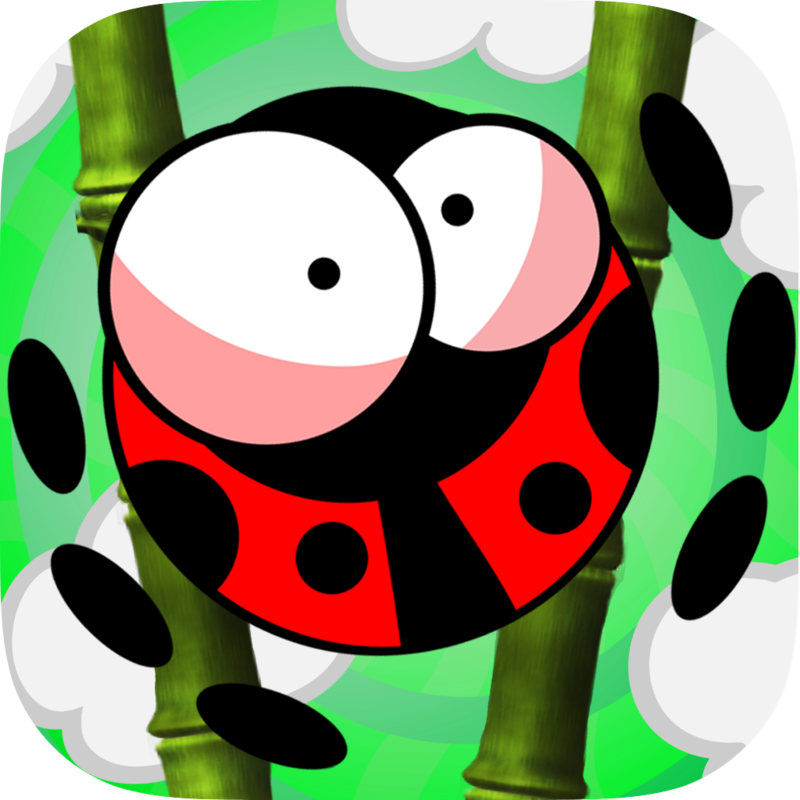 “Flappy Herbie Saga: Trolls of the Forest”. I used to name my games with short names. Not anymore. The game is also SO hard that it provides Zen relaxation services to the gamer for free. Even though I was tempted to make it a paid service at some point just to meta-troll it. When you feel frustrated by the game you can read beatiful Zen calming quotes, while listening to nice relaxing music. I am not going to dive into all satire points in the game as I will ruin it, but you will get the point for sure.